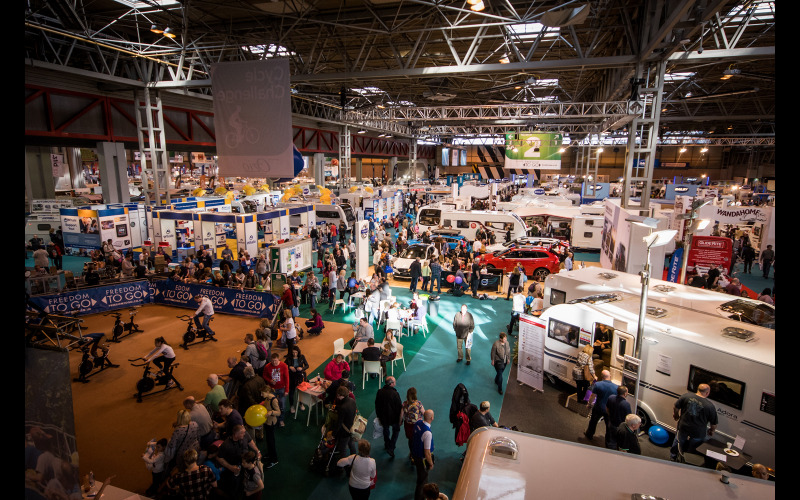 Running from 20 to 25 February, the Caravan, Camping and Motorhome Show 2018 covers five halls of Birmingham’s NEC. All the new season tents, trailer tents and folding caravans are displayed, together with camping and outdoor leisure accessories and, of course, the UK’s largest exhibition line-up of caravans, motorhomes, campervans, caravan holiday homes and lodges. Visitors can try their hand at motorhome manoeuvring, campervan test driving and caravan towing as well as exploring UK and overseas camping destinations. Whether new to camping and leisure vehicle holidays or an avid adventurer, the Caravan, Camping and Motorhome Show 2018 offers staycation inspiration and advice for all. A celebrity line-up in the Discovery Theatre is headed by explorer Sir Ranulph Fiennes, sharing his adventuring experiences as well as ideas on how everybody can get ‘Outdoors for 24 Hours’ in 2018. With new-for-2018 attractions including an ice rink and Holiday Park Experience as well as favourites such as an assault course and climbing wall, there’s plenty of free activities to enjoy. Also pitching up are The Camping and Caravanning Club and the Caravan and Motorhome Club offering thousands of camping destinations at home and abroad, while partners such as The Woodland Trust offer inspiration on walks and getting outdoors. Tickets can be purchased online or by phone. Children aged 15 and under enter free.